Planning a wedding is an incredibly stressful time for all those involved however Edinburgh flowers is here to take on all the floral responsibility once your order has been placed so you are able to focus on other elements of the wedding. 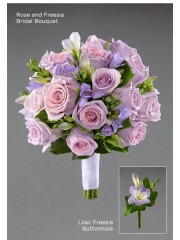 There are several factors to think about when deciding what flowers you would like at your wedding. First and foremost, it is important to ensure that the quality of the flowers you use is the best it can possibly be as quality impacts the longevity and it’s important that the flowers stay fresh and do not wilt on the wedding day. All the flowers the Edinburgh florists work with have been imported all the way from the prosperous fields of Holland. This western region of the Netherlands is renowned for cultivating some of the best flowers in the world so you can be rest assured that your order from Edinburgh flowers will be nothing short of perfection. After you have established that the quality is the best it can be, you have to decide what sort of aesthetic you are after. The Vera Wang modern collection is unique as it is incredibly contemporary and has something on offer to appeal to all tastes. Vera Wang is a fashion designer who has reached worldwide acclaim with her elegant wedding dress designs which she has transferred beautifully to her floral designs. This collection does not have one particular colour scheme but rather features different shades of purple, pinks, blues, reds and peachy tones. By including such a diverse choice of colours in this collection, it means that there is bound to be something that appeals to everyone as opposed to sticking to one particular colour scheme. 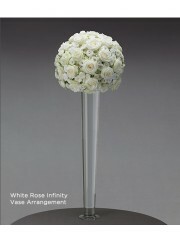 Our number one aim here at Edinburgh flowers is to provide customers with only the best floral designs and quality. Once you have settled on the collection you want to use for your wedding, you must consider what sort of floral designs you are after as there are many different arrangements and bouquets required for a wedding. For the bride herself not only is there a bridal bouquet but Edinburgh flowers offers headpieces and decorations for the veil. 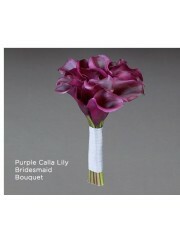 There are several gorgeous bridal bouquets in the modern collection designed by Vera Wang which feature flowers such as calla lilies, mixed roses and vanda orchids to name some. There are also other bouquets to consider such as those held by the bridesmaids and the maid of honour as well as corsages to compliment the dresses of the bridesmaids. There are also the male counterparts to think of - whether the groomsmen and the best man need buttonholes to compliment the corsages of the bridesmaids and maid of honour respectively. Additionally, there is the flower girl to think of - what flowers she will be scattering, a headband to compliment her dress and so on - as well as the ring boy and the parents of the bride and groom. 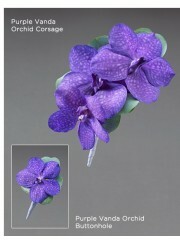 There are also decorations for the actual wedding ceremony to think of. For example, the modern collection features some visually stunning vase arrangements which can serve as the perfect table centrepiece. For any further queries about the modern wedding collection or if you wish to book a consultation with one of the Edinburgh florists, please do not hesitate to get in touch. You are able to either send an email or phone the shop directly as there is always a member of the Edinburgh flowers team available to answer any and all of your questions. The romantic collection was designed by Vera Wang, a well known American designer of wedding gowns who has successfully transferred the beauty and exquisiteness of her bridal designs into the art of floristry. If you are looking for a stunning and elegant wedding flowers collection then look no further as the Vera Wang romantic collection offered by Edinburgh flowers. The first point of call when deciding on a wedding flowers collection is ensuring the quality of your flowers is nothing short of perfection. All the flowers used by the Edinburgh florists have been cultivated and then directly imported to the shop door from Holland, a wester region of the Netherlands. Holland is renowned for the premium quality of flowers cultivated there which means that not only are the flowers of good quality but they are also the freshest. The freshness of a flower impact directly the longevity so the fresher a flower is, the longer it lasts. 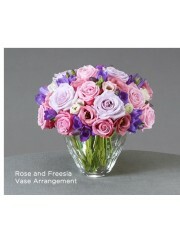 This is important as good quality flowers will stay fresh throughout the entirety of the wedding day. 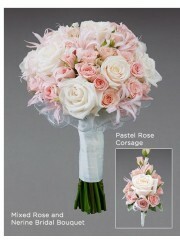 Once the quality has been determined, you must select the a floral theme which matches the overall theme of the wedding. The romantic collection is dreamy as it consists of whites, pinks, reds and pastels so it creates a very dainty, elegant atmosphere. This collection is perfect for any time of year and features flowers such as pink and red roses; fragrant freesias; exotic orchids; elegant calla lilies and cymbidiums to name a few. 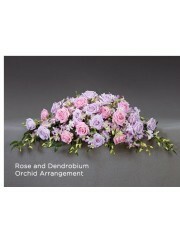 This collection mixes and incorporates all of these flowers to create full bodied, elegant and extravagant arrangements. The main aim of Edinburgh flowers is to provide the best customer service possible so once your order has been placed with us, we’ll take care of the rest so you are able to focus on other aspects of the wedding and not worry over the floral side of things. Once you have decided on a wedding flowers collection, you must then decide what sort of arrangements, bouquets and other bits and bobs you need for your wedding. There are two aspects to focus your attention on: the people partaking in the ceremony and the venue itself. This collection features some gorgeous bridal bouquets which include mixed flowers like cream roses and freesias or mixed roses and nerine. In addition to bridal bouquets, there are also floral headpieces to consider such as hair combs or decorations for the bridal veil. On the bride’s side of the wedding, there are gorgeous bouquets for the bridesmaids and maid of honour as well as lovely corsages to compliment the dresses. There is also the flower girl to consider - what petals she will scatter down the aisle, whether she needs a floral hairband or a little corsage to accompany her dress. On the groom’s side there are the groomsmen and the best man to think. Edinburgh flowers have a smart and stylish range on buttonholes on offer which can compliment the lovely corsages of the bridesmaids. Once everyone partaking in the ceremony has been considered, the venue must also be considered. The romantic collection has some visually stunning centrepieces on offer which can be placed around the venue or afterwards at the reception, on the tables or line the aisle. When it comes to weddings, the possibilities are endless so if you are stuck for ideas or can’t wait to get started, Edinburgh flowers is for you. If you have any further queries about any of the services provided or if you’d like to book a consultation, please do not hesitate to get in touch. You can contact Edinburgh flowers via email or phone as there is always someone available to answer any and all of your questions. Your wedding day is arguably one of the most important in your life which is why everything must be visually perfect as it will be a long lasting memory, captured in photographs and the memories of all those involved. As a wedding day is such an important day, it does mean a lot of pressure is put on those organising it which is where Edinburgh flowers step in with the Vera Wang traditional wedding collection. 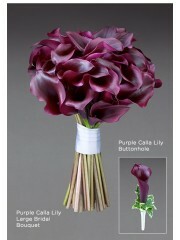 It is very important to ensure a couple of things are in order before you place your wedding flowers orders. First and foremost, you must be very certain that the flowers are of a good quality as this impacts how the flowers look on the day. Edinburgh florists only work with flowers which have been directly imported all the way from Holland. Holland is a region of the Netherlands renowned for cultivating some of the best flowers in the world which means that you can be rest assured Edinburgh flowers use only the best. 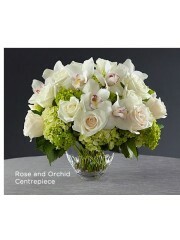 Additionally, the quality directly impacts the freshness of the flowers as well as the longevity. 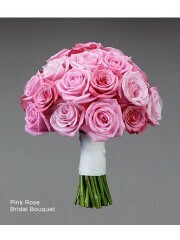 A good quality flower will have a high longevity which means that it will stay fresh for a number of days. Once you have determined that the quality of flowers are nothing short of perfection, you can begin to choose the theme that best fits your wedding. This traditional collection was designed by Vera Wang, a world-famous American designer who has time and time again created absolutely jaw-drawing bridal gown designs. 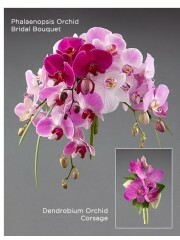 The beauty and elegance of these designs have transferred marvellously into the field of floristry. The traditional collection features pink, lilac and red arrangements and bouquets which are very vibrant and eye-catching and bound to create an everlasting memory of your special day. The aim of everyone at Edinburgh flowers is to ensure that the floral aspect of your wedding is seamless so you don’t have to worry about a single thing and are able to focus on other elements of the wedding. Unlike other occasions, there are a lot of different arrangements and bouquets required to create the desired effect and in particular there are two aspects to focus on: the people partaking in the ceremony and the venue. When considering what sort of bouquets and arrangements to use for the bridesmaids, groomsmen and so on, it is important to take into account the attire they will be wearing as the flowers should complement the clothes. As the traditional collection features several colour schemes, it will be easier to find something fitting. This collection has a wide variety of flowers including phalaenopsis - more commonly know as the ‘moth orchid’ - and vanda orchids; fragrant freesias; exotic dendrobium; roses and cymbidiums to name a few. The traditional collection incorporates these flowers in innovating ways by combining them, allowing them to feature in the same bouquets. 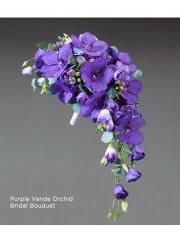 There are several bridal bouquets on offer in this collection which are all unique in their own way as well as other designs a bride might require such as flowers to wear so for example, decorations for the bridal veil. 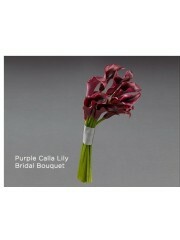 For the bridesmaids there are also hand bouquets to keep in mind as well as perhaps corsages to complete their outfits. The groomsmen might require a buttonhole to finish off their suits which can be co-ordinated to complement the corsages of the bridesmaids. As there is so much to consider, Edinburgh flowers offer wedding consultations where you can talk to an experience florist who has had experience with coordinating wedding flowers before. You can get in touch with Edinburgh flowers either by phone or email if you have any questions or if you wish to book a consultation as there is always someone available to answer all of your queries. Vera Wang is an internationally acclaimed fashion designer who has been creating luxurious bridal gown designs for years so it is no wonder that her floral collection is just as intricate and breath taking as her material designs. Edinburgh flowers understands that your wedding day is one of the most important days of your life which is why everything must be perfect as it is a memory you will cherish for the rest of your life. We also understand how stressful it can be with everything that must be planned out - from flowers to catering and everything in between - which is where Edinburgh flowers step in with our forty years of experience in the floristry industry. 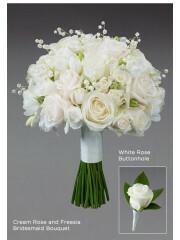 There are several factors that must be taken into account when selecting your wedding flowers. First and foremost, the quality of the flowers is very important as it impacts how fresh they are, how they look and their durability. Edinburgh florists only work with flowers that have been imported all the way from Holland. Holland is a region of the Netherlands renowned for the premium quality flowers that are cultivated in their prosperous fields so you can be rest assured that you will receive premium quality floral designs from Edinburgh flowers. 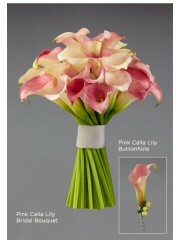 After you are sure the quality of the flowers will be up to scratch, the actual selection of flowers takes place. Your flowers should match the theme of your wedding which is why Edinburgh flowers can offer three different but all equally beautiful Vera Wang wedding flower collections - traditional, romantic and modern. Each collection has something unique to offer - different colour schemes and arrangements which have been designed by the New York based designer herself. For further information regarding these wedding collections or about any of the services provided by Edinburgh flowers, please do not hesitate to get in touch. You are able to reach the shop either via email or by phone as there is always someone who is available and can answer any and all of your questions. Once you have selected what wedding flowers collection you would like, you must decide what sort of arrangements you are after as there is a lot to take into consideration. For those partaking in the ceremony there are the bridesmaids, groomsmen, maid of honour, best man, flower girl, ring boy and of course the bride and groom themselves to think about. 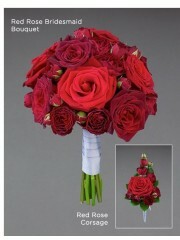 The bride usually has a lovely bridal bouquet which Edinburgh flowers has many designs of. The bride and the groom might both want a flower to wear - so, for example, a floral headpiece for the bride and a buttonhole for the groom. On the topic of flowers to wear, there are matching corsages and buttonholes for the bridesmaids and groomsmen as well as for the flower girl and ring boy. The flower girl must have only the prettiest petals to scatter down the aisle which Edinburgh flowers are able to provide. In addition to the people attending the wedding, the venue most also be thought out - centrepieces for the reception tables, decorations to line the aisle and so on. After all of this has been chosen and selected, you don’t have to worry about a single thing as Edinburgh flowers have got you covered. Your flowers will be delivered to you in pristine condition on the day so your worries over the flowers can be forgotten once your order has been placed. It is our job to ensure your order with us is as smooth as humanly possible so you are able to focus on other aspects of the wedding.